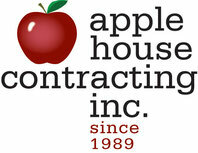 apple house contracting, inc. (ahc) enjoys working on the places people live. ahc has every remodeling skill set and 29 years of experience in synthesizing solutions to any residential home system challenge. ahc's mission is to lead the way for sustainable remodeling in Loudoun, Clarke, Fauquier, and Jefferson Counties and help our clients meet every challenge to make their home as safe, efficient and comfortable as possible - and to do so with the smallest possible impact on the environment. 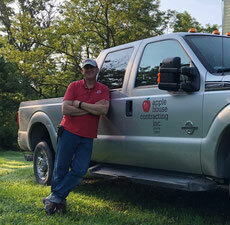 apple house contracting, inc. has built its reputation on quality craftsmanship, responsive customer service, and reliability. We have returned to a job site long after expiration of all warranties to correct a problem the customer felt was the result of improper workmanship. We feel this speaks for itself. We value your input and knowing what your experience with us has been is valuable to us. We want to continue to grow and provide our clients with the best results possible. As our world takes more heed of the impact of raising energy costs, apple house contracting inc. has added services to fill the need for energy savings and high performance home improvements. This does not change who we are, it simply means we are expanding our services so that we can continue to offer solutions to our clients challenges. Our core competencies remain the same, with added services to offer solutions in the challenges brought by needs to reduce energy consumption; increase comfort; increase safety; save money; and reduce carbon footprint. In 2007, the president earned a Green Advantage Certification, in 2012, he completed an MBA in Sustainable Business from Green Mountain College and in 2014 he earned LEED Green Associate credentials. These disciplines teach a wide range of green building concepts, including: use of sustainably manufactured or extracted products; energy conservation; healthy indoor air quality; reduced operating costs; reduced water consumption; and overall improved comfort and quality of life. apple house contracting, inc. strives to provide quality, sustainable solutions for its clients. We have an intimate understanding of the challenges that surround the upgrading and maintenance of residential buildings. One of our biggest advantages over our competitors is that our owner is actively involved in all our projects every step of the way. Phil is on the job sites either performing carpentry tasks, overseeing work being done or communicating with various team members/ This “hands on” approach ensures problem solving is more immediate and that communication lines to the customer, staff, subcontractors, and inspectors are enhanced. We do just about everything in house, which allows for superior quality control. 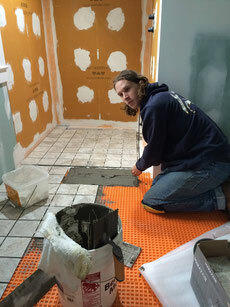 In addition, we have developed long standing relationships with those subcontractors we do use.